Alice specialises in share scheme and executive remuneration arrangements, including the taxation, administration and corporate governance implications of these arrangements. 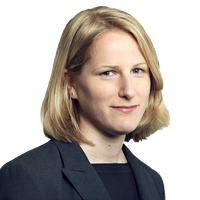 She also advises on employment law, most particularly executive hirings and firings. In addition to day-to-day advice on the establishment and operation of remuneration arrangements, Alice regularly advises on the issues that arise in connection with corporate transactions. Her clients include private companies, financial institutions and a range of FTSE 100 and FTSE 250 companies.